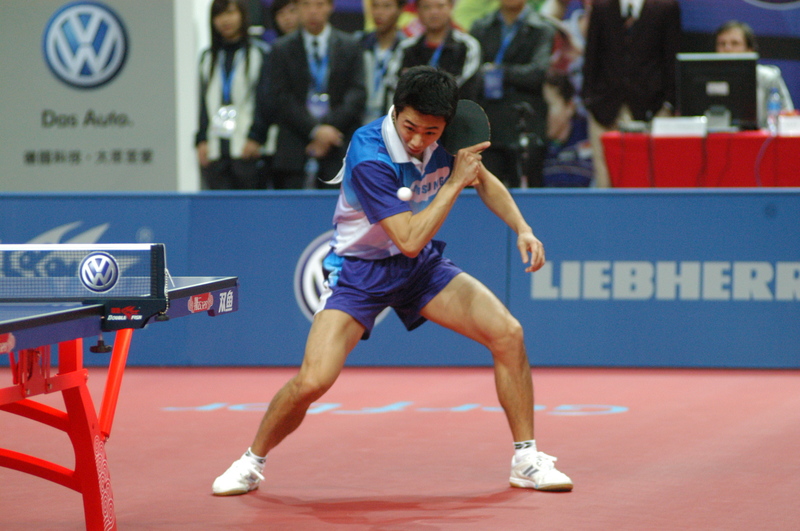 The Semifinalists are decided for the 2011 Leibherr Table Tennis Men's World Cup. It was disappointment for European fans around the globe who's pinned hopes on Germany's Timo Boll were lost when a determined and on-form Joo Se Hyuk ended Boll's World Cup goals. It was a 7 set showdown which saw one of the world's most reputable and skillful defensive players assert himself against Europe's best. A triumph for Korea which was almost repeated with their 2nd player Oh Sang Eun, his 7 set match was with Japanese star Jun Mizutani who claimed victory in the final set, securing a channel for Japanese supporters going into the semifinals. Both were incredible matches and had viewers around the world on the edges of their seats in the fray of some amazing execution. For China it was plain sailing, Wang Hao avenging himself with a 4-1 win over Germany's Dimitrij Ovtcharov who defeated him in the World Team Cup on home turf in the Germany city of Magdeburg just over a week ago. Certainly Hao didn't look to be taking any chances, looking forward to his task of defending his 2010 title. Ironically his teammate Zhang Jike finds himself aiming for the final on the opposite side of the draw. Mizutani was also a semifinalist in the 2010 competition. So here we see 3 of the 4 semifinalists repeating their elite performance from 2010. Will the result be the same or different? The finalists have the potential to be the same, Mizutani faces Wang Hao this time and we know that although Joo is on form, Zhang Jike has an amazing affinity for playing choppers with impressive leg strength and great touch. It's all down to 2 matches to determine the finalists, be sure to tune in to ITTV!